In its first peer review of Ireland's energy policies since 2012 published today it said that although Ireland has successfully advanced the transformation of its energy sector since 2012, further and rapid decarbonisation of the electricity system is a necessity. It said Ireland is not on course to meet its mandatory emissions reduction and renewable energy targets for 2020, and it questioned Ireland's ability to meet its 2030 targets. The IEA said the fact that Ireland's electricity system is capable of accommodating up to 65% of instantaneous variable electricity generated from wind at any given time is a remarkable achievement. Nevertheless, it warned population growth of up to 20% expected by 2040 will put substantial pressure on existing infrastructure and require meeting future energy, housing and transport needs through low carbon and energy efficient solutions. For this to be achieved, a step-change will be required in terms of energy efficiency measures and in this regard the agency is urging the Government to maintain or increase funding for energy efficiency transformations. In terms of renewable energy, the report says that by 2020, Ireland will achieve or be close to achieving the government's 2020 target of 40% renewable electricity. It notes however that delays in obtaining final planning consent approval and in grid building have caused project delays. This increases costs, and can also affect the wider energy system and weaken the security of energy supply. It urges the Government to take all necessary measures to speed up procedures and improve acceptance of critical energy infrastructure and renewable generation assets. The report notes that Ireland is one of the few countries globally that taxes all carbon fuels. 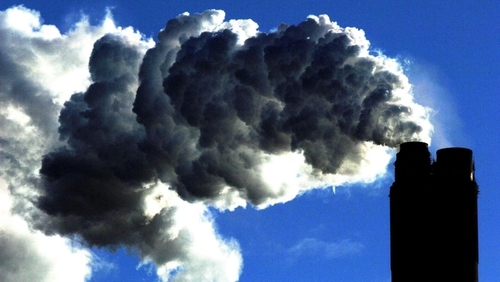 Nevertheless it recommends that the Government should consider automatically increasing carbon taxes in sectors where greenhouse gas emissions targets are not met. It also says the Government should earmark a part, or all, of the additional revenue from carbon tax increases for energy efficiency measures and to provide support for heat decarbonisation in the residential sector. Minister for Communications, Climate Action and Environment, Richard Bruton welcomed the energy policy review, saying it confirms that while economic recovery has seen some improvement in take-up of renewables and in energy efficiency, Ireland has not broken the link between economic growth and prosperity and greenhouse gases. He added that the all-of-government climate action plan he is currently finalising will provide the clear targets and the policy roadmap that the country needs. However, the first challenge, he said, is to secure widespread buy-in across our entire community on the vital importance of the journey which we need to go on. He said this can only be achieved by all sections of our community working together.